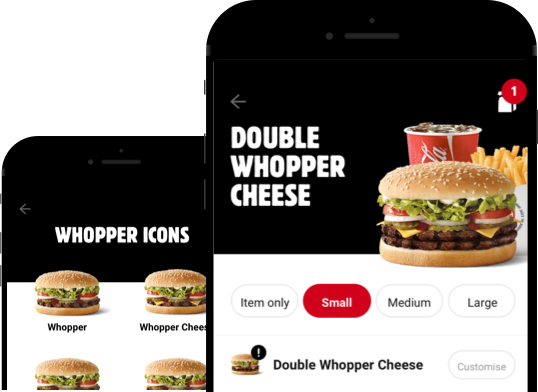 Hungry Jack’s Pty Ltd (Hungry Jack’s) is bound by the Privacy Act 1988 (Act), the Australian Privacy Principles (APPs) as well as other laws and codes. At Hungry Jack’s we understand that privacy is important to our customers and we are committed to ensuring that any personal information about you that we hold is respected and protected at all times. Hungry Jack’s may also collect sensitive information about you (for example information about your health or any disability). However, we only do so with your consent and/or as authorised by law. You may, in some circumstances, have the option of not identifying yourself or using a pseudonym when you deal with Hungry Jack's. If we do not collect your personal information, we may not be able to provide you with the products and services that you require, or the level of service on which we pride ourselves at Hungry Jack’s. Hungry Jack's may make a record of your visit to our website and log your visit for statistical and business purposes. Such information includes your server address, domain name, IP address, the date and time of your visit, pages accessed, documents downloaded, previous sites visited and the type of browser used. • ensuring that personal information stored in electronic form is password protected and encrypted whenever practicable, and where stored in the Cloud, is stored on servers within Australia and overseas. Hungry Jack’s will only use your personal information as permitted by law. This means that we will only use your personal information for the purposes for which it was collected (such as those referred to above) or for a purpose related, or in the case of sensitive information directly related, to that purpose. Hungry Jack’s may disclose your personal information to other entities as permitted by law. These include our related bodies corporate, franchisees, agents, third parties who provide services to us or on our behalf, and our marketing partners. Where Hungry Jack's collects your personal information via its websites or App, some personal information may be disclosed to third party analytics companies, including Google and Braze, and, where you log into the App through your Facebook account, to Facebook. The information accessed by such third party entities does not include credit card details. Information in connection with your dealings with Hungry Jack's and your use of Hungry Jack's websites or App may be disclosed overseas, including to the United States, United Kingdom, Singapore, Hong Kong, Serbia, the Netherlands and the Philippines. Hungry Jack’s does not use any Government related identifiers (such as your driver licence number) as our own identifier for you. However, we may ask you for one of these identifiers so that we can confirm your identity when you deal with us. • you are given an opportunity to request not to receive direct marketing communications from us, or our marketing partners, and have not made such a request. If at any time you do not wish to receive direct marketing communications from us you can let us know by contacting us on the details provided below. In relation to any communications received in connection with the Hungry Jack's App, you are able to change the settings through the App and with respect to any other electronic messages you may receive you have the option of "opting-out" of further communications by using the unsubscribe facility that is included in any electronic message. You may access your personal information or request that your personal information be updated or corrected. You can do this by contacting us on the details provided below and we will endeavour to respond to your request within 30 days. In relation to any personal information collected via the Hungry Jack's App, there are also ways to access and correct certain personal information through the App. You will not be charged a fee for making a request to access your personal information. However, fees and charges may apply for providing the requested information. Where access to your personal information is refused, Hungry Jack’s will nevertheless provide you with written reasons for the refusal. In those circumstances, we may instead provide you with a summary of your personal information. We will endeavour to deal with your complaint as soon as is reasonably practicable. Hungry Jack's Pty Limited (Hungry Jack's or We) may collect, use, disclose and manage your personal information including, but not limited to, contact details such as your name, address, email and phone number, as well as identification details. We collect personal information in order to provide you with your products and services and improve your Hungry Jack's experience. We may also use your personal information to market our products and services (for example through competitions and promotions), offer various benefits to customers through the Hungry Jack's App and Website, improve our services through regular customer feedback and provide customer support. Accordingly, if you do not provide your relevant personal information, we may not be able to provide you with our products and services, or at least provide you with the high standards that are expected of Hungry Jack's. We collect your personal information both directly from you and from third parties. Collection may occur when you use our products or services such as our Website, mobile website and App, use our social media pages or place an order at one of our restaurants. The type of personal information we will collect will ultimately depend on how you choose to interact with us (for example, we make collect your geo-location data if you use the Hungry Jack's App). We will only collect sensitive information (for example information about your health) with your consent and/or as authorised by law. We will use and disclose your personal information as permitted by law. This may include disclosing your personal information to other entities such as our related bodies corporates, franchisees, agents, third parties who provide services to us or on our behalf, and our marketing partners. Information in connection with your dealings with Hungry Jack's and your use of Hungry Jack's websites or App may be disclosed overseas, including to the United States, United Kingdom, Singapore, Hong Kong, Serbia, the Netherlands and the Philippines.